KRTS Power to Respond® was developed as events over the past few years changed the way that organisations and society think about traumatic incidents and crises. In the United States, the number of terror-related active shooter attacks has increased dramatically, with their two most deadly terror attacks since 9/11 occurring within the last two years. The threat of terror is now ranked as one of their top concerns by organisations. In the US, a mass shooting occurs almost every day. According to 2014 Federal Bureau of Investigation data, 7 out of 10 active shooter incidents occur at schools or businesses. Natural disasters resulting from extreme weather – wildfires, mudslide, Tsunamis, tornados and hurricanes – too numerous to mention, are an ever-increasing phenomenon. These latter events, along with the Grenfell Tower fire in June 2017, created a powerful urge for a change in how organisations and society respond, within two highly experienced trauma professionals. Together, Liz Royle (PhD) and Catherine Kerr (CPsychol) already had over 40 years of clinical experience working with disaster and psychological trauma, but the growing problem meant something had to change. 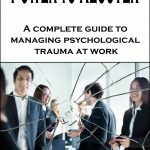 They were increasingly hearing first hand on a massive, global scale, how those affected where left without appropriate mental health support and how organisations struggled with sickness absence and operational disruption, reduced morale and workplace relations and damage to company reputation. Following traumatic events, people question “how do we deal with this?” “How do we help those affected?” Trauma leaves us feeling helpless and out of control. As acts of terror become more frequent, companies and communities know they must become better prepared to manage the direct and indirect impact. Organisations are beginning to reflect these threats in crisis management and business continuity plans, but managing the impact requires skills in both managing a crisis event and managing the psychological impact on people. The growing need to develop standards for post-incident support has led to the development of ISO 22330: Guidelines for People Aspects of Business Continuity. 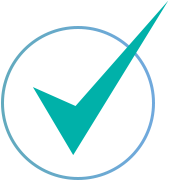 This means that whilst organisations will now have consistent guidelines on best practice, they also need an accessible solution to meet the standard. The possibility of a workforce that is largely unable to recover is a risk that can, and must, be addressed. 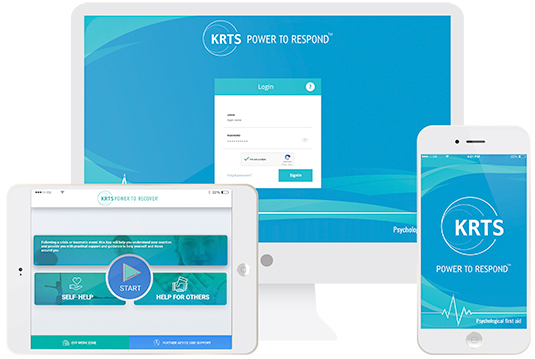 KRTS Power to Respond® is a ground-breaking digital health App that meets the standards set out in ISO 22330 and those of the World Health Organisation, International Critical Incident Stress Foundation, European Network for Traumatic Stress and the British Psychological Society amongst others for post-trauma care. It can be integrated into mass digital notification systems and/or be released independently. KRTS Power to Respond® has multilingual facility for international delivery. The software is purchased on an annual license basis and deployed by the organisation within that year whenever necessary. There will be a sliding scale of fees depending on the number of employees to ensure this technology is in reach of all. KRTS Power to Respond® is suitable for large and small organisations, from micro SMEs to multinational corporations. 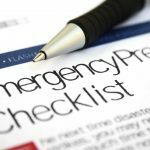 They can be confident that this can be easily put in place immediately alongside their other incident management processes. KRTS Power to Respond® is a game changer in how organisations respond to the impact of crises, emergency situations and man-made and natural disasters. As highly experienced trauma and crisis professionals, we developed KRTS Power to Respond® because we are passionate about people getting the right support at the right time following a hugely distressing event. We wanted to reach as many people as possible in the most effective way. We also wanted to take away the confusion and fear about the natural response to abnormal situations. Dr Liz Royle started her crisis intervention career in 1996 and her experience spans many settings. Writing the force’s Trauma Support Policy and developing procedures for managing major incidents. Planning the in-house response to potential threats raised by the city hosting the Commonwealth Games. Liaising with cross-party emergency planning groups. Taking part in both table top and mock scenario training to test procedures for incidents such as police shootings. Developing proactive initiatives for high risk roles including officers working in the Tactical Firearms Unit, casualty bureau, temporary mortuaries and for family liaison officers. Leading a team providing 24 / 7 emergency cover and an immediate response following numerous line of duty police officer deaths, murders, suicides, hostage situations, multiple fatality accidents, public order and firearms incidents. She founded the European Society for Traumatic Stress Studies’ task force on “Managing Psychological Trauma in the Uniformed Services” and led this for 8 years. Writing Trauma Support Policies and Standard Operating Procedures for local authorities and emergency services. Taking part in simulations and table top exercises across a range of settings and acting as an expert observer for Crisis Management Teams’ development. Responding to community disaster and crises in schools, local authorities and a range of private organisations and voluntary agencies. Liz has worked with affected organisations following large scale natural disasters and acts of terror. Training in-house crisis response teams. Liz specialises in crisis intervention and the treatment of complex PTSD and is a founder member of the UK Psychological Trauma Society. 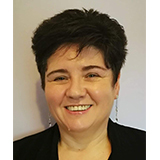 She is an approved trainer for the International Critical Incident Stress Foundation and was a member of Chester University’s employer advisory panel for their MSc in Psychological Trauma as well as being a visiting lecturer on that course. 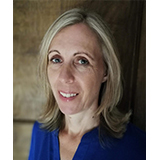 As an experienced trauma psychotherapist and EMDR Europe Approved Consultant, Liz has worked clinically with clients suffering from Post Traumatic Stress Disorder and trauma. reactions including those following multiple fatalities, serious assaults, accidents, child sexual abuse and major incidents. 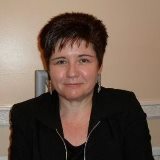 She is an international speaker and published author with 3 books, 2 book chapters and many journal articles to her credit and completed her PhD at the University of Manchester researching how the identity of police officers with a military background affects their care-seeking behaviour for PTSD. Throughout that time, Cath has seen many individuals in the early days following such incidents. She has witnessed the positive impact of people being provided with education and strategies. This has helped to give them a sense of control in what can be, a very confusing and distressing time. She has also been involved with local NHS Primary Care Groups to help provide early preventative measures in response to mental health issues. As well as being an international author and presenter, alongside KRTS Power to Respond® she is the co-creator of KRTS Power to Plan™ a comprehensive psychological risk assessment tool, and KRTS Power to Recover®, an early intervention programme that supports individuals following a critical incident. She also delivers training courses as part of a portfolio of support for organisations that need to manage workplace trauma. Ultimately her passion is to help make a difference when it really counts. Vess’ first Translation business which he is still active as shareholder and Director has grown to 4 countries with 4 offices and 5 franchises, satisfying more than 10000 clients around the world. 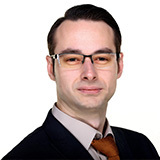 His second Digital Marketing business has received 12 business award nominations and won 2 awards from the largest business organization in the UK the Federation of Small Businesses. The UK digital marketing company services clients in Manchester, Liverpool, London and internationally in the U.S. and Germany. Vess’ skills include: international business development and management; Creating pricing, business and marketing strategies; Full technical project management from the design to implication and deployment of web-based systems, IOS/Android apps and software. Complete online strategy development; High conversion rate UX/UI design wireframing; Competitive analysis and gap analysis expert; HR expertise of attracting and retaining a talented team. The app meets the standards set out in the forthcoming ISO 22330 and those of the World Health Organisation, International Critical Incident Stress Foundation, European Network for Traumatic Stress and the British Psychological Society amongst others for post-trauma care.